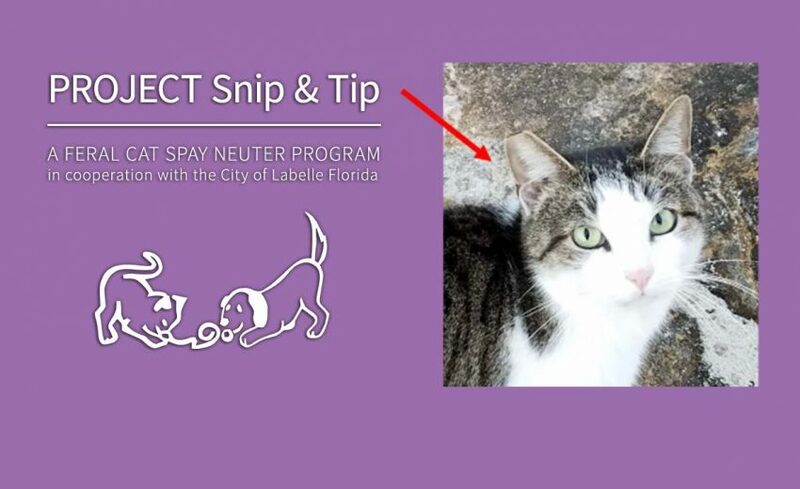 Caloosa Humane Society, in cooperation with the City of Labelle Florida, is implementing Project Snip & Tip, a feral cat spay neuter program that traps, neuters & releases within the city limits of Labelle, FL. 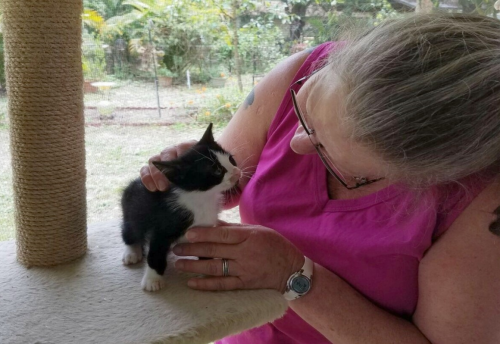 Caloosa Humane Society is the administrator for this program and will organize the trapping, transport, vetting and release of the feral cats in our community. Trap, Neuter & Release (TNR) benefits the cats as well as the community. Cats are humanely trapped, spayed or neutered, vaccinated, treated for parasites and ear-tipped. Ear-tipping is the universal symbol of a sterilized and vaccinated cat. Why TNR? The approach of “catch and kill” of feral cats does not work for population control. Cats will always find a place to reside that provides a food source, (intentional feedings or not such as garbage dumpsters and food service trash) and shelter. When cats are removed from these areas, it makes room for new cats to move in and breed to capacity. TNR works by stabilizing the number of cats in a colony (No More Litters of Kittens!) It greatly improves the lives of the existing cats as well as the relationship with the community. No more behaviors associated with breeding such as fighting, yowling and scent marking. Everyone’s lives are improved and the cat population stabilizes and declines over time naturally.